This will complete the application menu setup. 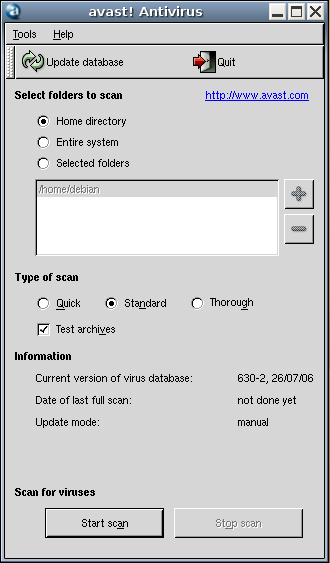 We are a repair shop and I want to use avast to scan infected windows hard drives. but I’m having troubles getting it to select the external hard drive on a usb adapter. 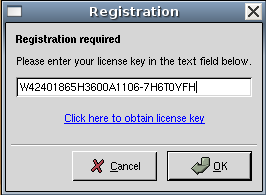 I like using ubuntu because it allows me to copy data from windows passworded user acounts without hastle. And hopefully now I can use it to clean the hard drives too. what I got from eset sysinspector was a “hidden toolkit” hidden from system. Have searched alot, seen people given up (reinstalled OS), read that bitdefender and norton repears infected files and mostly hijack logs that seems to show not much including “combi-fix” file (AKA combifix.exe). 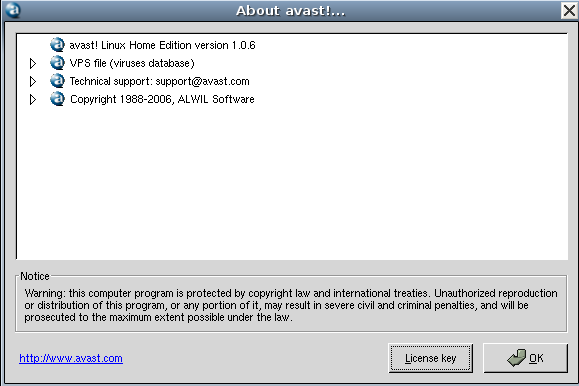 The last solution I can come up with is to use ubunto live cd and install avast (may work) or another AV. See this b-u-t-full GUIDE! Seems like this variant is one of those we never wished to ever see the dayligt. What do I have to do if I want Avast starts up automatically when I turn on my computer? I know lots of people think you do not need AV on Linux. They are all wrong. (1) It is theoretically possible to infect any OS. (2) It is true that Linux is built better than windows but it still can get infected. (3) Today I have a virus on my Ubuntu. In particular, when I print a file, specific letter get replaced by symbol. Instead Doctor I get octor. Don’t think like before 9/11, think like after 9/11, if somebody can think it, somebody will do it. We need to put more effort into writing AV. I have anticirus firewall for my desktop pc. Do I need one for linux also? I just tried to install your software on my home computer where I am trying to learn Linux. I am running Ubuntu and the following error comes up when I run the command you gave me on your webpage (included). I run Ubuntu on VMWare. Do I still need an antivirus? This ones are working together very well. I’m running duel boot Ubuntu 9.10 and Xp on diferent hard drives. My XP side is so fd up with viruses spyware ect, Id like an avtivirus on the ubuntu side to fix things. My Windows is so scrood up I think only Linux can fix it. however I am getting same error again. Pl. sugget solution for it. Here is the fix for “An error occurred in avast! engine: Invalid argument”. It might not be necessary to delete the .avast folder in the home directory. The optimal solution is Kaspersky antivirus in terms of protection and performance. @2, it’s viruses not virii, not that you’d notice the red spell check line under it as you typed it anyway. Ant-virus has more uses than just scanning for Linux viruses, for example, just a few that spring to mind……… Linux machines that are connected to windows networks and share files with other windows users (not that Linux users care what happens to windows but it would be nice not to pass them on to your friends, colleagues, contacts for business partners), for me in particular I share a lot of files with windows user via USB disks, it’s nice once in a while to scan them and stem the spread of viruses to others. Burying your head in the sand and ignoring the problem doesn’t help anybody. Michael Bartolucci: Wrong architecture, you run 64 bit Ubuntu and not the required 32 bit (required if you want to install a i386 package). Try download Avast! for 64 bit operating system, if not available then install your box new with Ubuntu for 32 bit. You can try tar ball. it is like waste for me to download…. However each time I reboot the system, I cannot find Avast in my Accessories Menu. So I have to install Avast each time whenever the system reboots. Can you please tell me a once-and-for-all remedy for this issue? i am new to linux but not to virus. 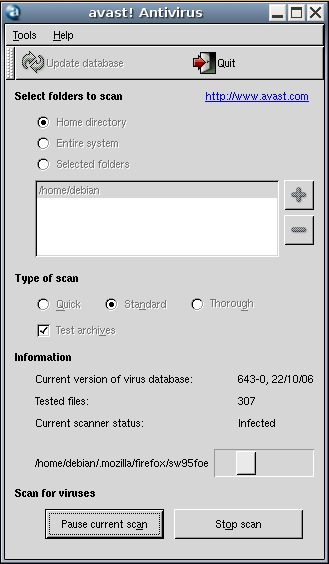 i can recognize the behaviour of virus in my windows. but i shocked with linux ubuntu version. until i connect internet the system runs fine with ubuntu, but as i connect internet the system becomes stupid, as the taskbar becomes invisible or non responsive, the firefox becomes non responsive, the application installer or searcher does not install any application and even dont download the application, the terminal gives error while installing any application of antivirus. what i mean to say that i just cant even get enough time that i could check my orkut profile. i feel very shame to those virus builders who are disturbing the linux developers. and making viruses for linux ununtu. i am electronics engineer and so i cant creat such special thoughts which are necessary to develop a programs, so i respect a lot to such linux developers and wish them great luck for such wonderful thoughts they have devoted to linux projects. and even after huge number of viruses, i am finally shifted to linux and not looking back. since my childhood the only thing i saw on my pc was window. and so i got expert in window. but now i think that if i had linux also on another or that same pc then i would be more intelligent in computer world today like other linux users. and i did not had wasted my time in learning games. those who are father of small childrens are requested by me to plz install only linux on their kids pc and let them to explore the world of freedom and power. this will give satisfaction to my heart that i made other kids life good. linux is not difficult, but its more powerful with infinite softwares of infinite types, which requires just kinda more time to learn. so its better for kids to start it learning since their childhood age. sir, recently a virus infected my system… i am running a dual boot (windows xp+ubuntu)…now it is telling that i am not the administrator of windows,when i log on….and i am not able to access anything..(blank screen)..not even task manager…can i give a boot scan with antivirus in ubuntu and hv my sys repaired?? which anti is better for that?? 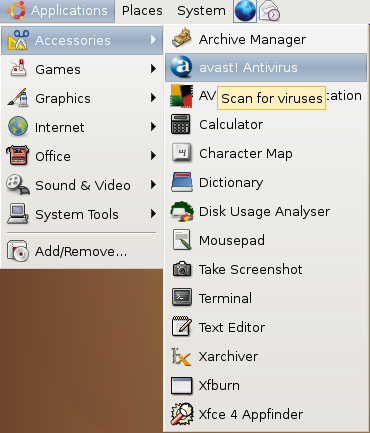 After installed Avast and reboot Ubuntu Lynx, The avast icon into accessory menu there isn’t, i’ve reinstaled it, but i don’ t see the icon, Why? i am new using ubonto OS. Yes really wonderful, it works nicely with Ubuntu , tanks a lot. 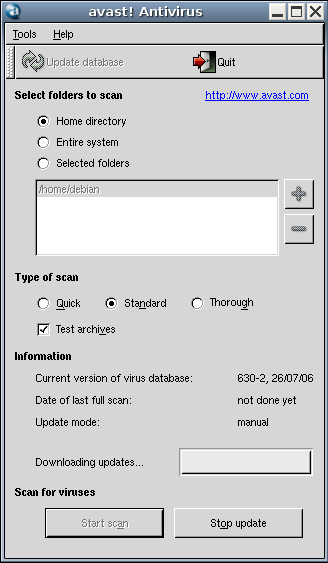 I installed Avast antivirus, and scanned my pc for viruses. It found 8 dangerous viruses. Then I clicked “repair” on all of them so It will fix them, and it says “Error: The file was not repaired” :S :S Why?? What should I do? How should I clean them!!? ?